Cmdr. (SG) Claus Anderson: My regular assignment is in (DALO), the Danish Acquisition and Logistics Organization. It’s a joint operation, and I’m the head of the coordination branch in the maritime division. I’m doing internal coordination for the planning and the portfolio management, as well as studies on development and acquisition. Tell me about Denmark’s involvement with the consortium. We were one of the four founding nations. We’ve been onboard for the full 50 years. Many of our officers have worked within this project for a many years and have a long history. We have been very committed. For a small country, I think we have had quite a large influence on the project. So what was the impetus for Denmark and the other original countries to come together to be part of this consortium? We realized that we didn’t have this warfare capability, but we needed it. It was our first shipboard missile and first ship-based anti-warfare system. When we started working together as a consortium, the navies realized that they needed a system, and that included the fire control, launcher and the missile. Today more navies have integrated combat management systems and vertical launchers that can fire a variety of missiles. Today, for our consortium, it is the missile itself that is the goal. Today, ships can use different launchers and different combat management systems, where the missile is integrated with other weapons. Our focus now is with ESSM and the ESSM Block 2. The consortium is a more focused organization now. It so expensive to develop such a complex missile that very, very few countries can do it on their own. A small country like Denmark can either buy a missile, or as we’re doing here, participate in the development and production of the missile system. Regarding your industrial participation, how important is that for Denmark to develop the capability to be an important part of the system. Even as a small country, we have something we can contribute. We can share our way of operating and our knowledge of the operating environment. For our industry, and for the other countries, we are growing our technological capability as well as lifting the other countries. I think there’s a lot of value in this for all of us. What were the first Danish ships with the system? 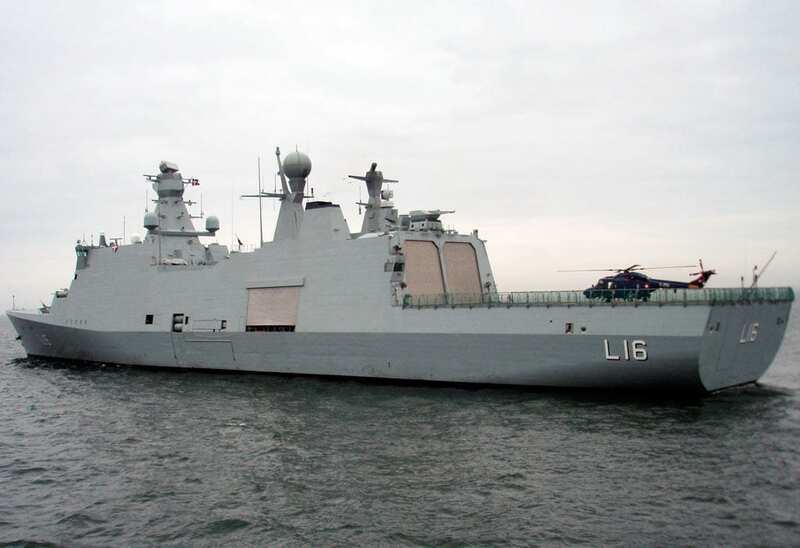 We installed the system of our two Peder Skram-class frigates during a mid-life update in the ’70s with first of class firing 40 years ago on June 19, 1978; and on the and the three Niels Juel-class corvettes with the old launcher. When we implemented the missile on the 14 StanFlex patrol boats of the Flyvefisken class, we went into the vertical launcher which we put into a standard container. We used the same concept for the mid-life update of the corvettes, and now we have the same standard containers on the frigates and the flexible support ships. That’s impressive to be able to leverage that initial investment and bring it forward, even to your most modern platforms. It’s was an advantage to take the weapon system from the old ships and easily integrate them into the new ones. Today your five ships have a very capable C-Flex combat management systems, the guns, Harpoon, and ESSM, which altogether is very good multi-mission capability. Our focus is to bring the security or the safety to our ships and our sailors. We’ve got a good point defense system, and now our aspiration is to go a little further for area defense. We’re looking at the SM-2 missile at the moment. It’s a huge step for us. It’s a different capability. There’s a new defense agreement coming up in Denmark. The new Defence Agreement has been agreed upon in January 2018 and we are installing SM-2 on the frigates. They are negotiating this week, so it will be very interesting to see. 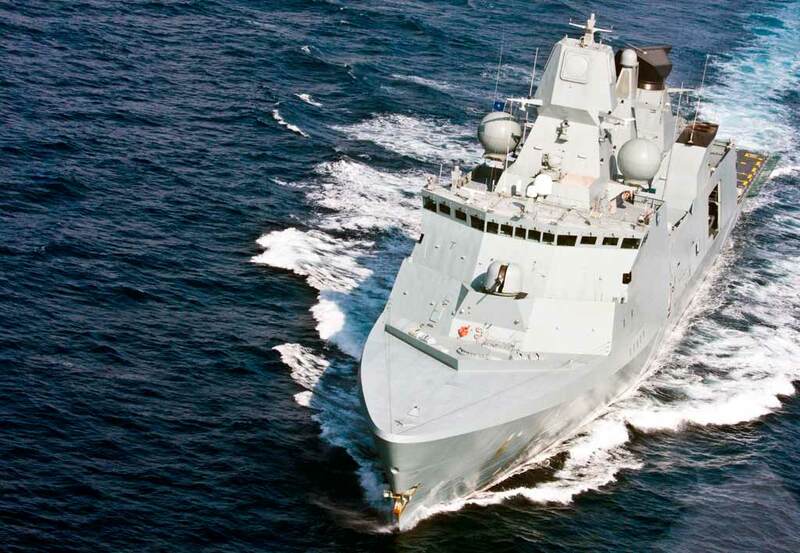 The Danish Navy’s Cold War mission was very different than today. It was homeland defense. We protected the Baltic approaches and defended the homeland. We had coastal submarines, mines, small craft, and a relatively high number of small ships. After the end of the Cold War, we decommissioned everything, and completely refocused on having fewer but larger ships for protecting the maritime domain and also being an active member of the Alliance, which is very important. I served on the corvettes and StanFlex units. We were using the corvettes designed for operation in the Baltic to go to the Med, the Persian Gulf and other distant deployments. Our ships had an endurance of 7 days and we were keeping them at sea for 3 or 4 weeks in warm, humid conditions. That’s why we transitioned our fleet to larger ships that can deploy wherever they are needed for months at a time to meet alliance and coalition commitments. But SeaSparrow has served as our primary air defense system all the way. What does Denmark give and receive as a part of this consortium which has an operational, an industrial, and a geopolitical purpose. There is a benefit on the military side for setting up the requirements, providing the resources and the funding, and the participation. But of course there’s also the industrial part. A few companies have been participating. Terma has been the major Danish participant in the consortium. Terma is a high tech Danish company that can deliver complex high-quality components and equipment suitable for these types of systems. It also brings something back to the Danish industry in a field that is otherwise very hard to get into. Denmark is a high wage country, so our industries need to be able to compete in this kind of specialized technology. We can’t compete in mass production where very low labor costs is critical. But even where your cost of the human capital is high, you still have to be competitive cost-wise. We’ve been experimenting a lot. Being small and having a very limited budget forces us to be creative. Our frigates are very capable, but quite affordable compared to some other similar-sized surface combatants in other navies. How about cooperation regarding sustainment? We also we have the cooperation for the service support of the missiles – Netherlands, Norway, Germany, Denmark, there’s a couple more – cooperating about the missile service. It’s different cost sharing basis among those participating members within the consortium. I think the pendulum is swinging a little bit back in Denmark as we once again gave some security challenges in the Baltic area. But unlike the Cold War, there are countries that were in the Warsaw Pact before that are now NATO allies. I think the major concern is the missile threat, which means that integrated air missile defense is the main focus, just for the navy, but also for the all of our defense forces.